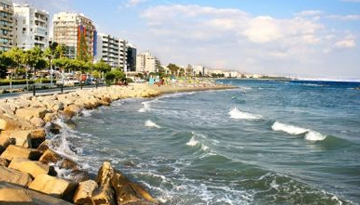 Ercan is the main point of entry for those heading to northern Cyprus, with the airport located east of the capital Nicosia. 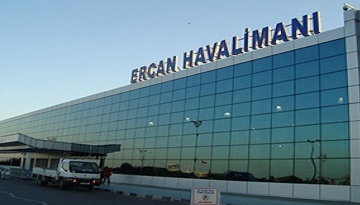 Ercan is only a small airport, and flights to the Turkish side of Cyprus must touch down in Turkey before reaching their final destination. From Ercan Airport, it is just a short distance to Nicosia - the capital and largest city - which offers a great deal for visitors to see. Explore the city's historical landmarks, including Ledra Street: a large shopping street which features the city's buffer zone between the north and the south. If you wish to walk through the border between the Turkish and Greek sides of the island, you will need your passport. The nearby coastal town of Kyrenia is known for its castle and historic harbour, with plenty of eating and drinking options by the water. It is also only a short drive from Ercan to Turtle Beach, where loggerhead and green turtles lay their eggs in the summer. In August and September at night, you can see baby turtles making their way to the sea. Ercan is also the perfect starting point from which to explore historic landmarks such as the Bellapais Abbey, constructed in the 13th century. 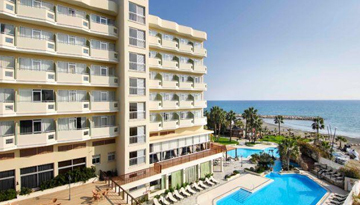 Fly from London Stansted - Ercan & Stay for 7 nights with 3 star accommodation. Room Only.